The Milky Way Garden (87 Milky Way) is PNLT’s first parcel of community-owned land! 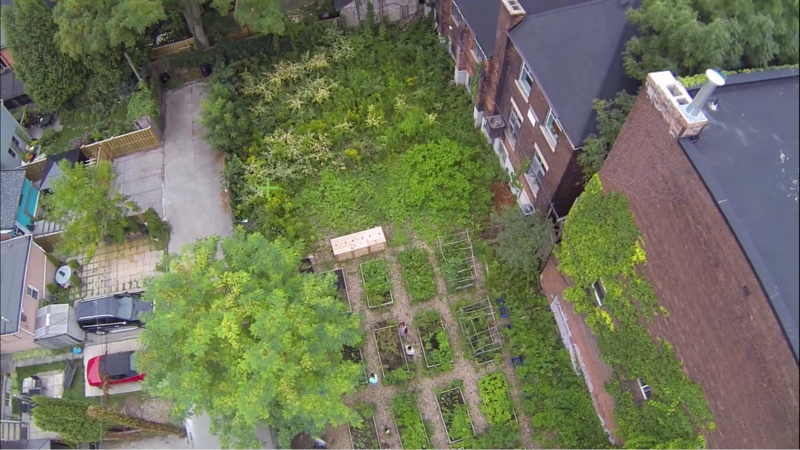 The Milky Way Garden is a 7000 sq ft vacant property in the heart of Parkdale. 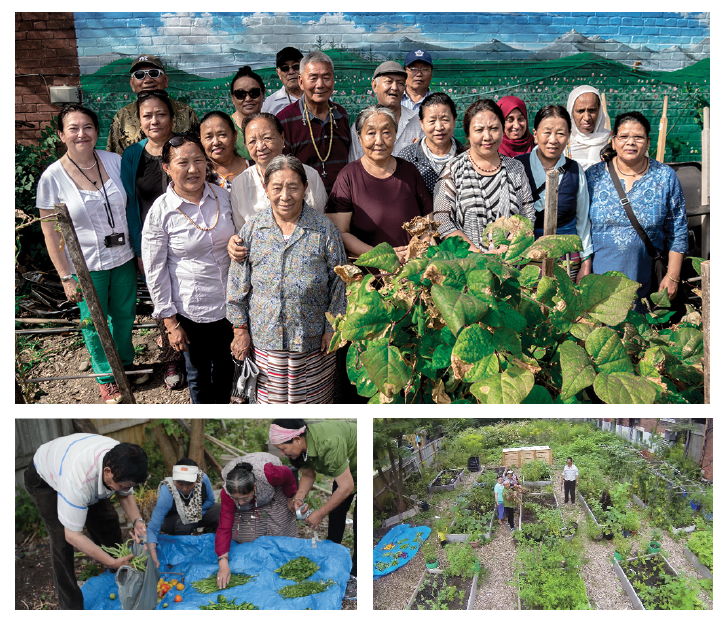 For 11 years, 1/3rd of the site has been operated as a newcomer community garden by mostly Tibetan community members who are part of an adult ESL program, facilitated by teacher Tish Carnat at the Parkdale Pubic Library, and supported by Greenest City (GC). The site is a core community asset to newcomers as a site of social connection and as a place where they can grow culturally appropriate food. Until recently Milky Way was privately owned. In 2016 the former private owners, John Greyson and Stephen Andrews, graciously agreed to sell the property to the Parkdale Neighbourhood Land Trust (PNLT), creating the opportunity for the community to take ownership. PNLT and GC successfully raised over $115,000.00 to cover the costs of acquisition and environmental assessments. This included $25,500 raised through 188 donations from community members and business owners, as well as a $60,000 contribution from the Echo Foundation and $25,000 from the Metcalf Foundation. On June 15th, 2017 PNLT successfully acquired the Milky Way Garden. PNLT will preserve Milky Way Garden as a shared urban agriculture pace for Parkdale, and provide a long-term lease to Greenest City, who will operate programming on the site. As the first community-owned property of the land trust, this transfer from private ownership to community ownership enables a unique opportunity for the community to come together to shape both the design and programs for this amazing space! Download our Milky Way Info Page here. 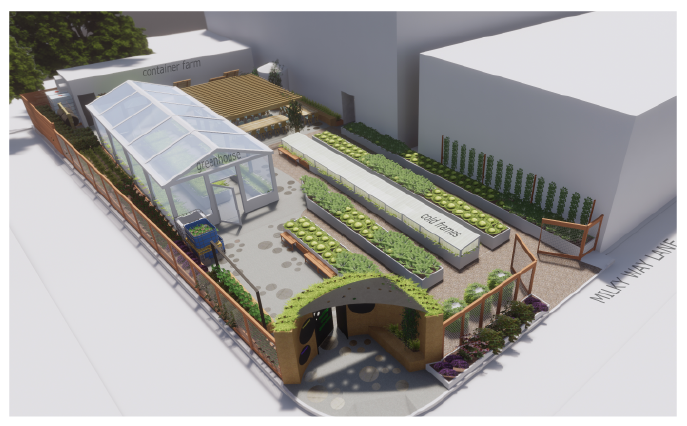 Greenest City has the intention to transform Milky Way Garden into an Urban Agriculture Space & Social Enterprise, a site of environmental education, intensified urban agriculture and the continued growth of a newcomer community garden. In 2017, through the support of the Ontario Trillium Foundation, GC and PNLT hosted 6 community consultations that brought over 200 diverse community members together to co-create the design and future programs for the Milky Way Garden. View images from the consultation process here. Milky Way Seedling Production – GC will produce vegetable seedlings for sale to residents. Home-grown Parkdale Hot Sauce – GC will grow fresh ingredients for a value-added product for sale. This activity will enable skill development and employment for marginalized community members. 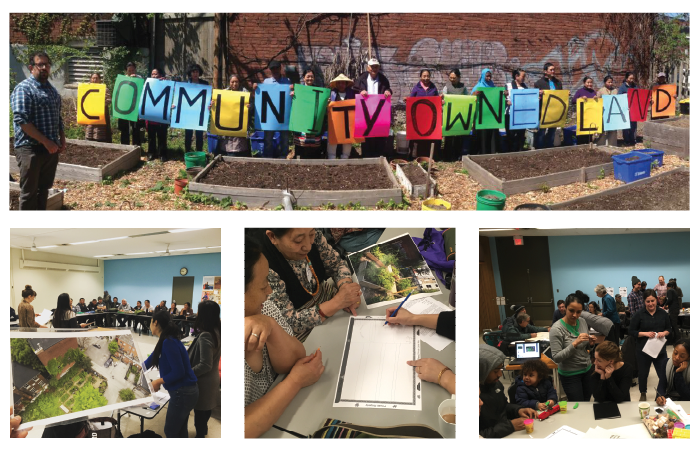 Interactive Gardening and Cooking Classes – GC will host cultural food experiences to enable Parkdale residents to gather, grow, cook and share food together. Diverse community members will be instructors and access supplementary income. Site Plan & Design: The proposed site plan includes for a greenhouse, accessible walkways, a pergola, additional raised planting areas for food growing and a potential shipping container for year-round growing. Special thanks to Ontario Trillium Foundation for generous support for this project.